When you think of luxury, you immediately think of elegance, extravaganza, bling, lavishness and a certain sense of opulence. 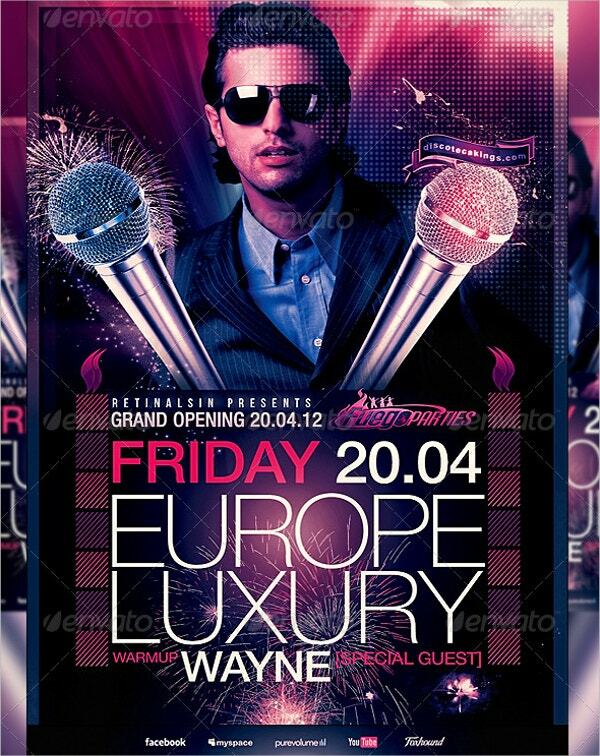 Well, that is exactly what you get in the luxury flyer templates here. Each template has its own share of richness and extravagance and can be used for different purposes. For example, some can be used as party invitations while some can be used to promote certain products, stores clubs et cetera. You’re sure to be spoilt for choice here! You can also see Political Flyers. 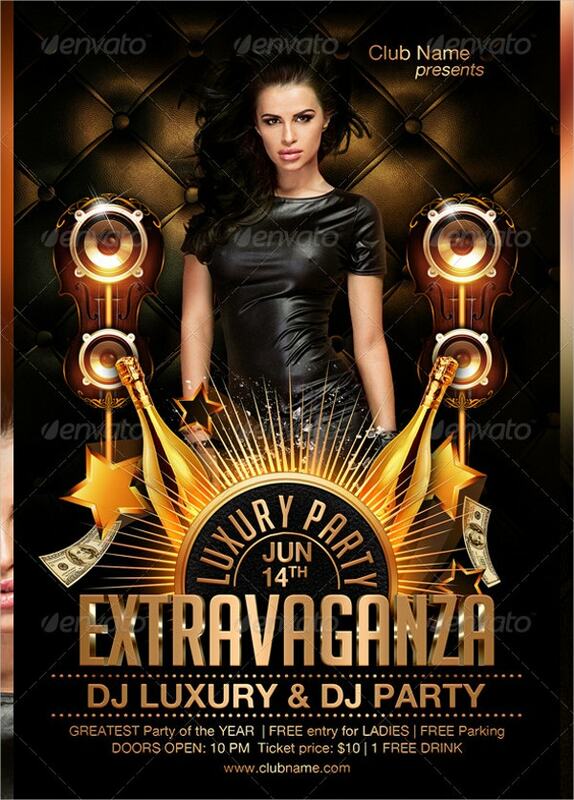 This luxury flyer template is exactly what you’d expect of a posh and elegant flyer template. It comes in elegant colour schemes which use CMYK mode. Also, it comes in PSD organized files. Champagne is the true sign of luxury. 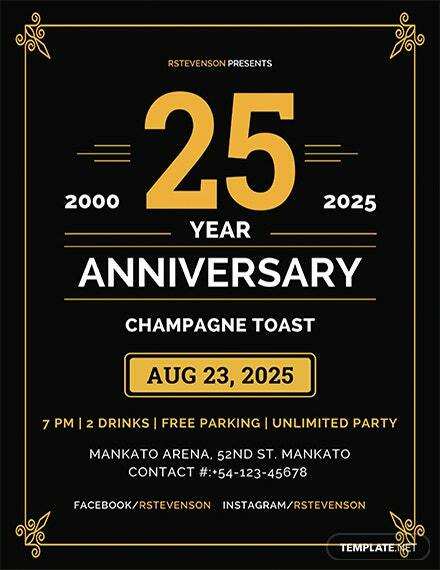 The image of a glass of bubbly on the flyer would symbolize a fantastic bash that screams elegance and class. That’s exactly what you get with this template. You can also see Party Flyers. 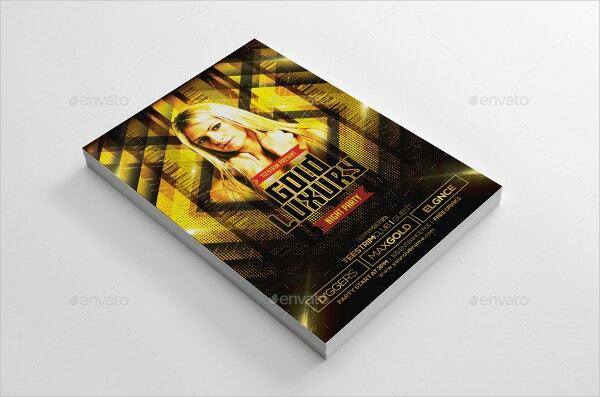 To promote a luxury store, you could use this template. 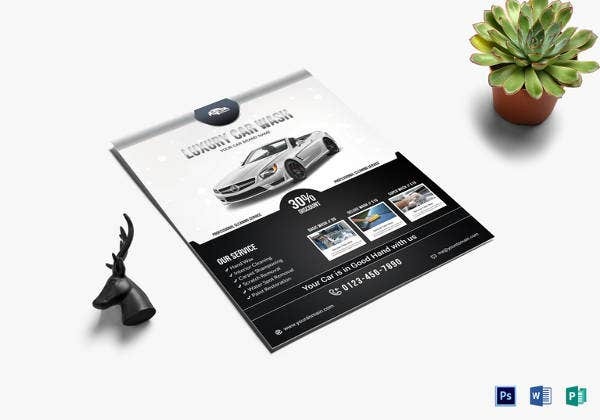 Here you can incorporate details about your store and even invite people to check your store out. This template works splendidly as a promotional flyer. 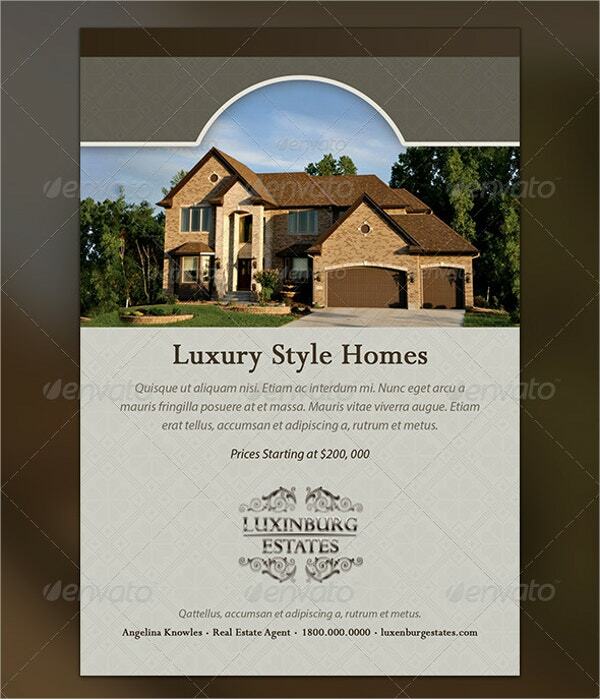 Promoting luxury properties in real estate would become a whole lot easier with this template. It comes in a standard size and also uses a CMYK colour mode. Also, it uses a fully editable format. 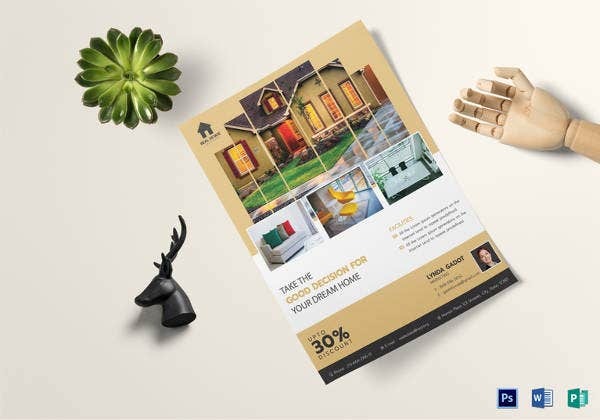 This luxury flyer is quite versatile and flexible in terms of utility. 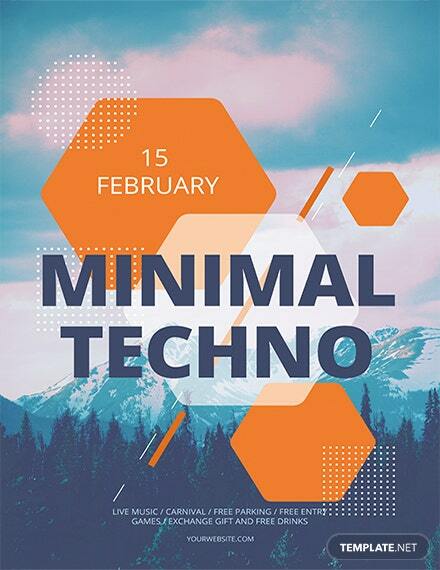 It can be used to promote a product or a company or even to spread the word about a grand party that is about to take place. 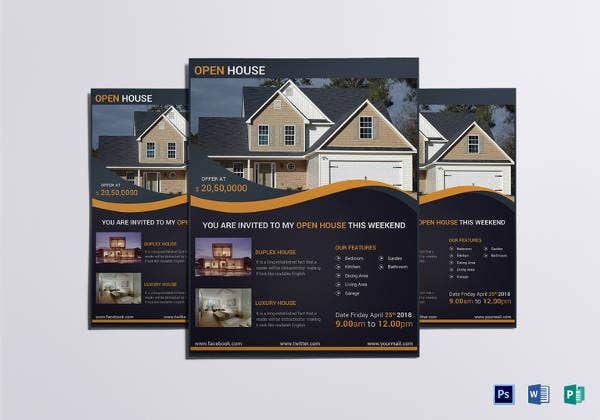 You can also see Business Flyers. 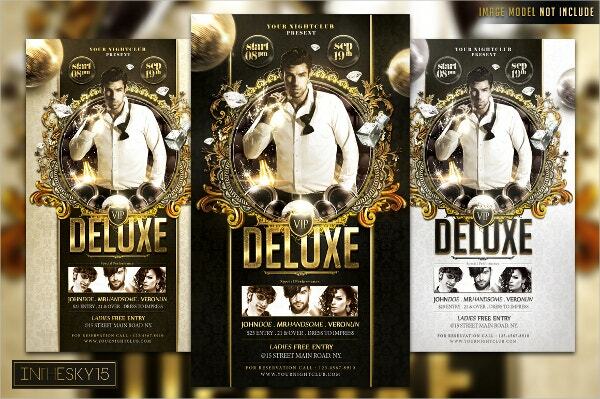 To impress the VIP guests at your party or event, you could use this deluxe flyer template. It comes in a standard size (with bleed) and also allows you to customise it fully. 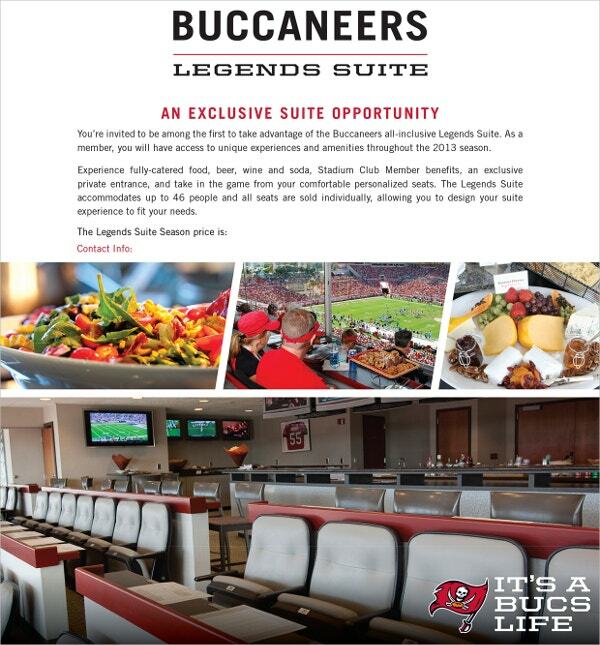 This buccaneers luxury flyer template could be used in a number of different ways. It comes in fully organised and layered files that make it really easy to use and edit. It wouldn’t be true luxury without a hint of extravagance. 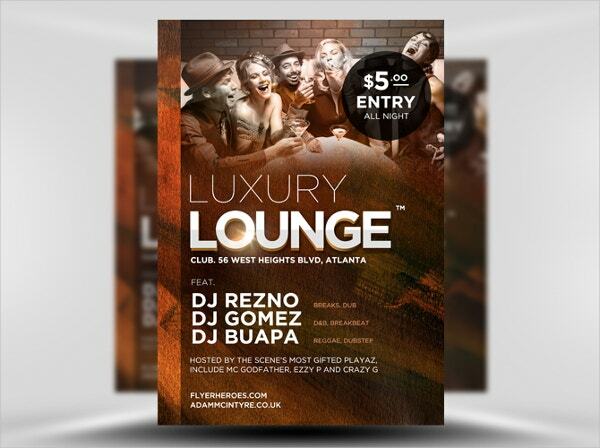 If that’s the look you’re going for, you could use this luxury flyer template. You can modify the details on the template as well. 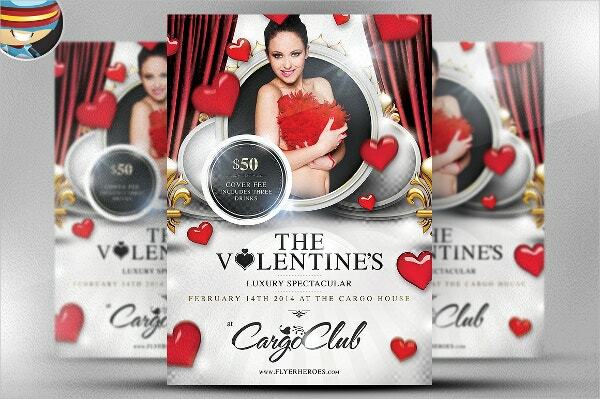 You could celebrate Valentine’s Day with this spectacular flyer. This template comes with a beautiful design that is simple yet elegant! Also, it is fully editable. 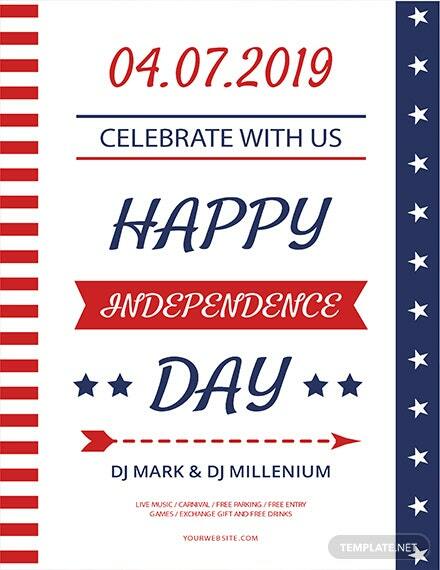 Are you planning to have a party soon? 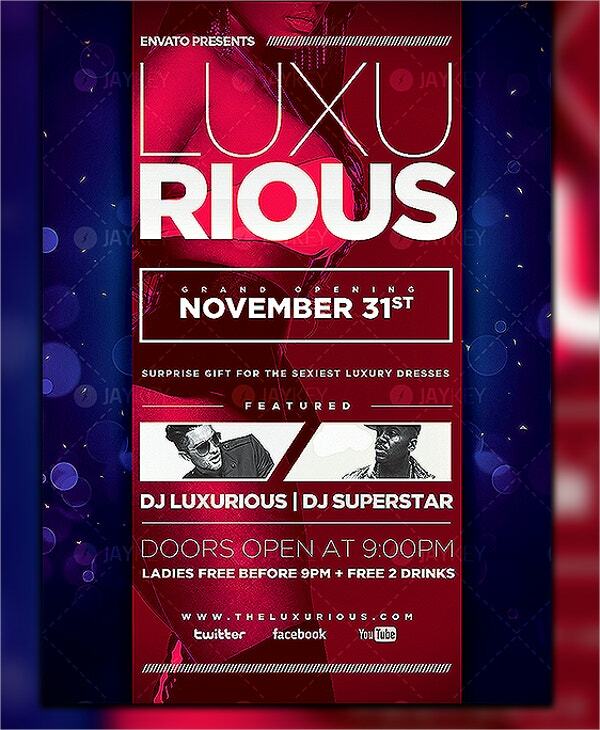 Then you could use this flyer to make sure people know about it. 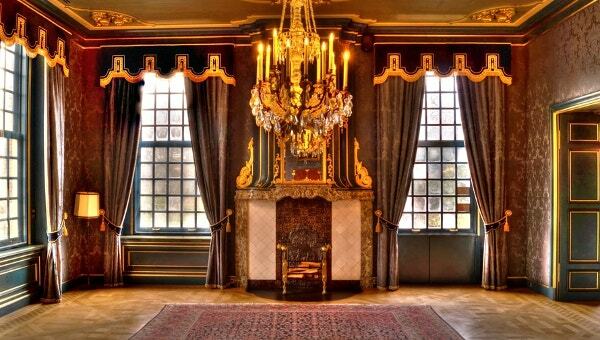 It establishes a sense of grandeur and elegance as well. 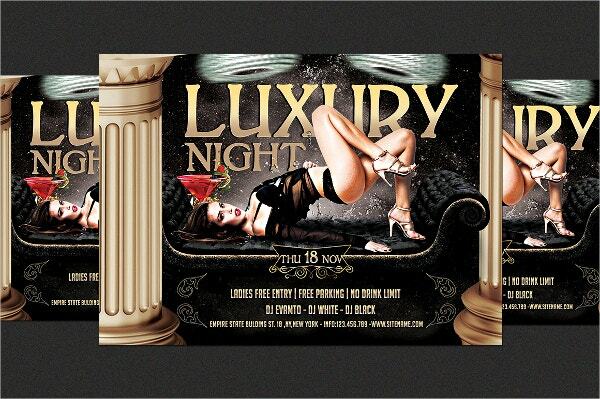 This luxury flyer template would be perfect for an extravagant night. 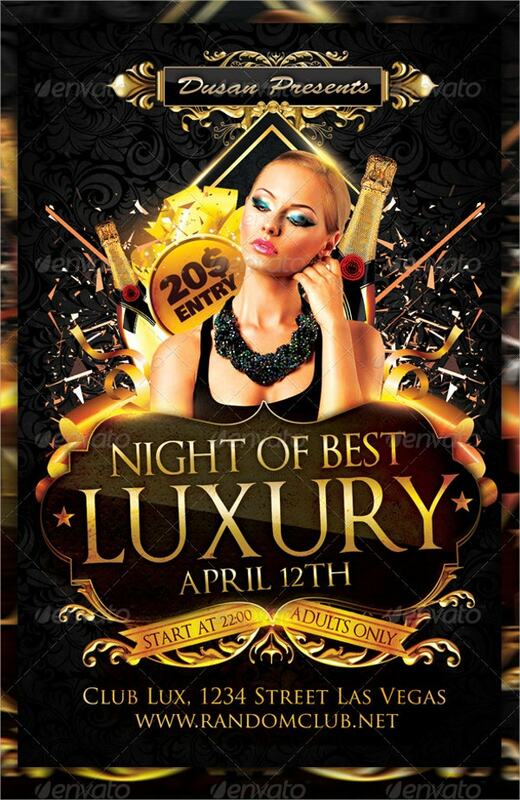 You can mention the details about the upcoming night in the template itself and even modify other details on it. 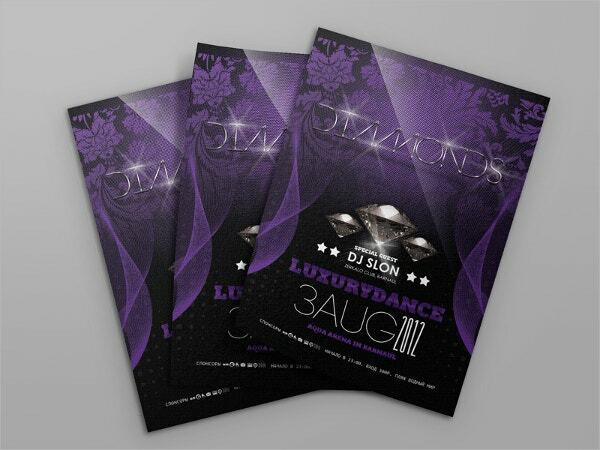 A club would require a flyer that is exquisite, beautiful and elegant. 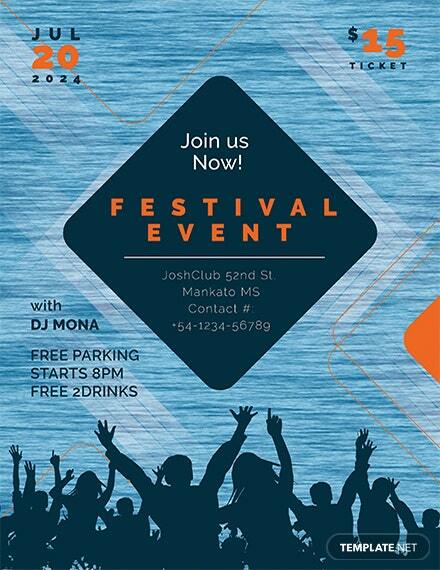 The flyer here can be used in a number of different ways by the club. It is easy to use and pretty flexible. 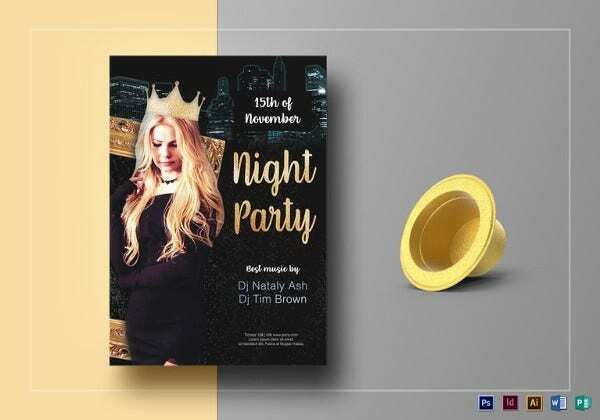 This luxury night flyer template comes with stunning graphics, a responsive layout, a well designed format and PSD files. 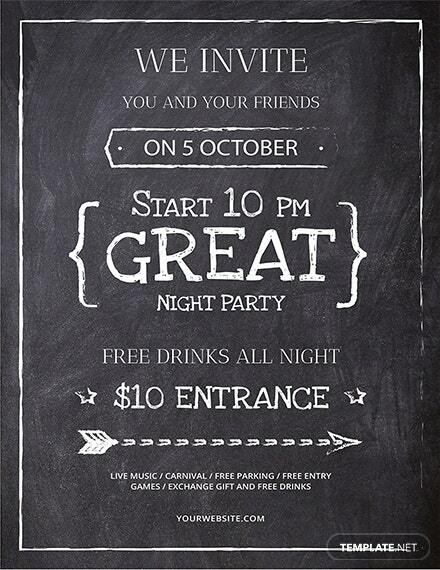 It would be great if you were to use this as party invitations. 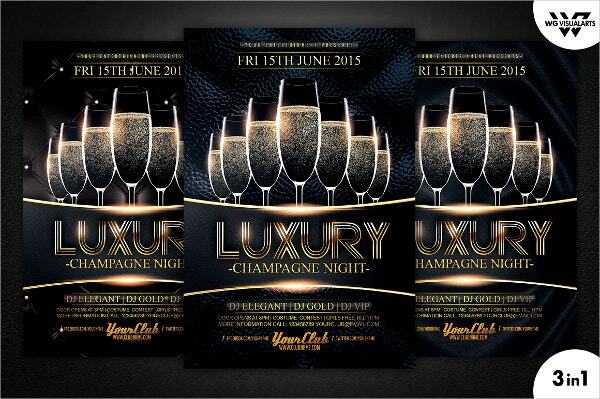 You cannot have a luxury flyer template without a touch of bling. Gold would be just right for a template like that. Yet, the template doesn’t become overtly flashy or too bright. 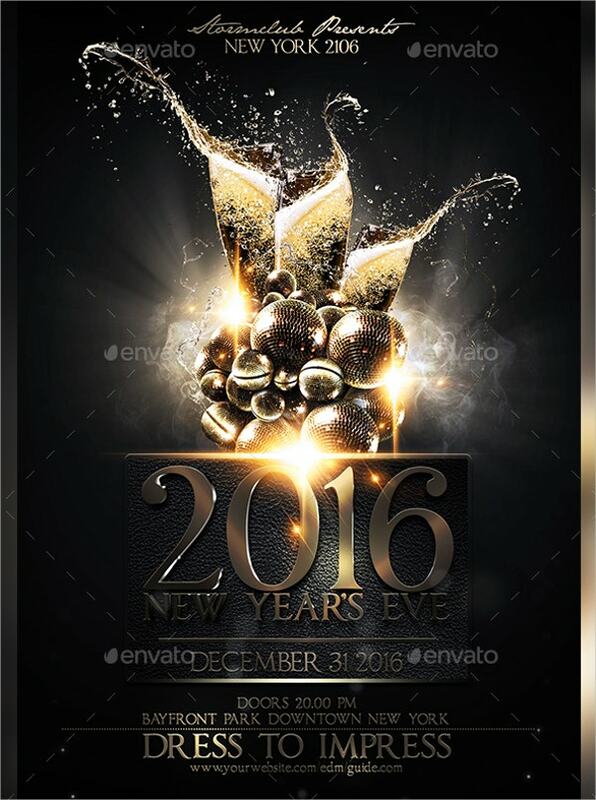 The templates here would be great for any kind of event that is celebratory or luxurious. 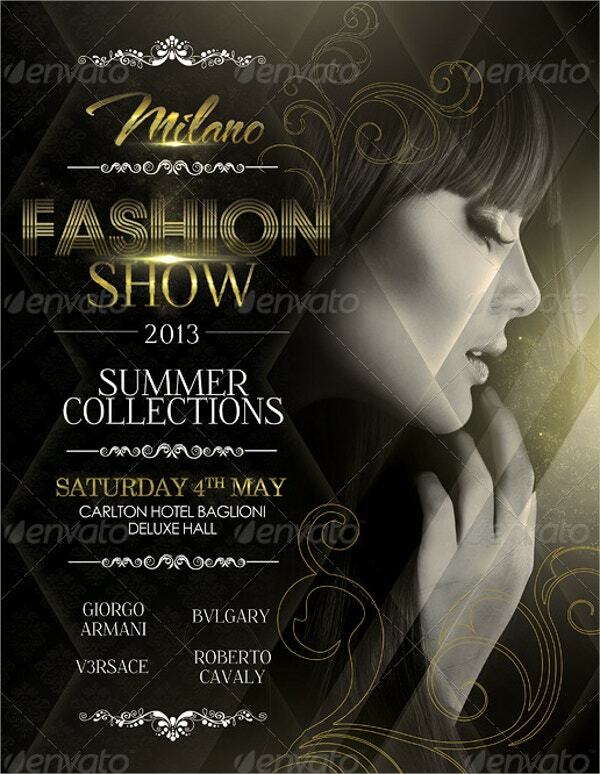 Here, you will find a wide range of party flyers which can be edited and customised to go with any kind of bash. All you have to do is browse through the collection and select the right template. Mardi gras is celebrated with great pomp and splendour in many countries. 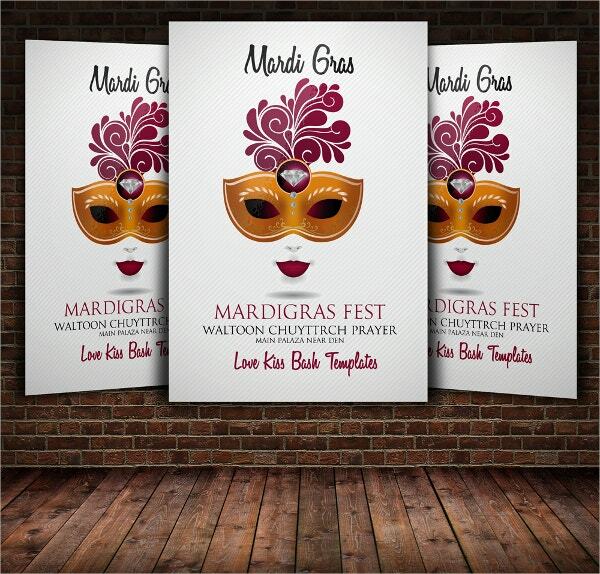 If you’re planning to have a mardi gras themed party, then you could use this template to spread the word. You can also see Spa Flyers.